Danny Worsnop released ‘Little Did I Know’ his latest solo single and follow up to “Angels” released earlier this year. Worsnop’s poetic voice comes through at the outset with background singers harmonizing in between bluesy guitar and drums. This love song is melodic, upbeat and fresh from his metal work. Worsnop and Asking Alexandria dealt with turbulent times in recent years. In January 2015, Worsnop left the band to perform with his new band, We Are Harlot. Worsnop continued touring with We Are Harlot and released a solo album. and country song, “Anyone But Me”, off his album The Long Road Home. Worsnop has since rejoined Asking Alexandria and the band released their fifth studio album and celebrated their hit “Alone In A Room.” On a personal level, Worsnop got engaged last summer and wrote a song about his bride-to-be, Victoria. The track “Angels” was released in October with home footage of Danny and Victoria and clips from his surprise proposal at an Asking Alexandria show this summer. Danny Worsnop grew up in a small village in England and stated that his love for music started when he was a toddler when he would make “beats” using empty boxes and pots, but started playing instruments at the age of eight years old. He learned the violin, trumpet and joined his local village school orchestra. Eventually he would take up guitar and bass and became more influenced by rock and metal music, and was self-taught. 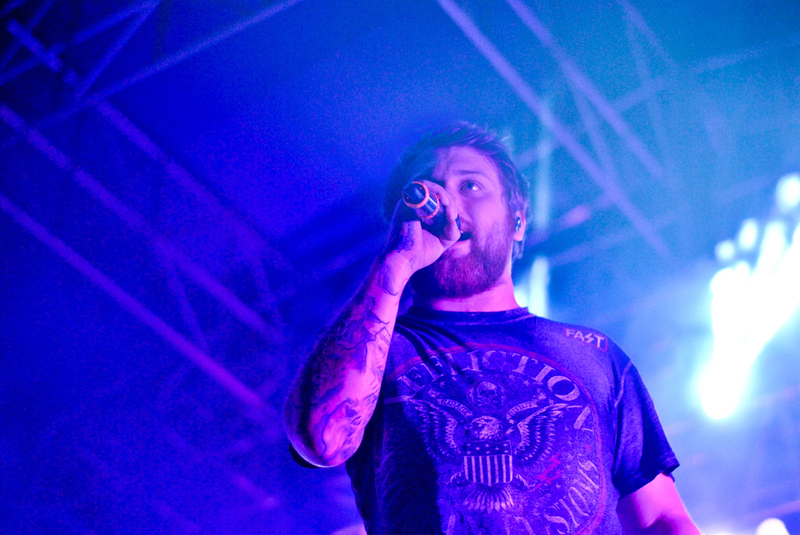 He initially planned to join the military, however the success of Asking Alexandria’s debut album Stand Up and Scream convinced him to continue a music career.